Organized softball in Brampton has its roots in 1971 when the first house league teams began play under a loosely-knit group which was the forerunner of today’s organization. 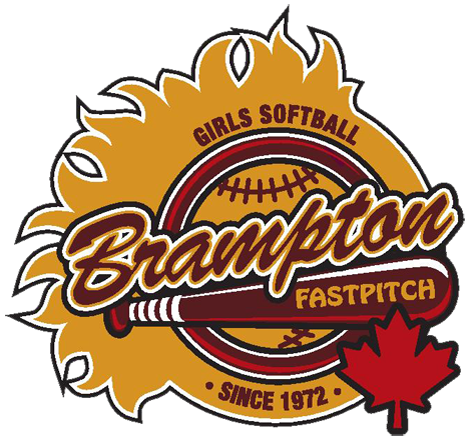 The Brampton Girls Softball Association as we know it today was officially established in 1972, and was incorporated in the late 80s. We are an affiliated youth sports group with the City of Brampton. Today the BGSA gives more than 500 girls of all ages and all skill levels the opportunity to play organized softball throughout the summer. For those who are interested in softball as a recreational sport, the BGSA supports over 40 house league teams from age 5 to 23. The BGSA is proud to be one of the few centres in the province to offer a comprehensive house league program, which provides girls with a summer of fun while at the same time teaching the necessary skills. For those house league players who desire a more competitive atmosphere, Select teams (the Flames) participate in a number of tournaments throughout the province from Mite through Midget during the summer. The BGSA’s rep program, the Blazers, fields teams from Mite through Midget for those players who strive to participate at the elite level of competitive softball. The Blazers have developed a reputation as one of the top softball organizations throughout Canada and North America, winning numerous Provincial, Eastern Canadian, and National championships at all age levels. Brampton players have played a major role on recent National and Olympic teams, and numerous girls have earned athletic scholarships in the USA, allowing them to further their education while playing ball. Over the years, the BGSA has enjoyed a number of highlights. Brampton gained national attention when the BGSA hosted the 1993 Junior National Championships, again in 2001 when the Blazers hosted and won the Bantam National Championships and most recently in 2017 while hosting the U14 Nationals and Women’s Championships. As well, sell-out crowds and a national CBC television audience witnessed the 3-Nations Challenge Cup at the Fairgrounds in 2000, a pre-Olympic event between the National Teams from Canada, Australia, and New Zealand. In 2018 the BGSA hosted the Blazers Blast, Novice Qualifiers and Midget & Women’s Provincials.